Includes a cutout for easy carrying. 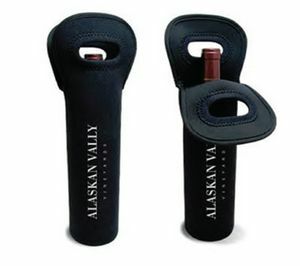 Our neoprene wine bag is quite unique. In fact, we are one of the only stores at present to stock this particular item. The bag is available in three different colors, which are black, blue and red, which means you have some options available to you to further personalize the bag itself. 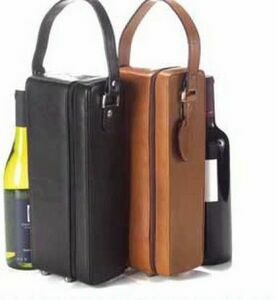 It has been designed to comfortably hold a single bottle of wine. 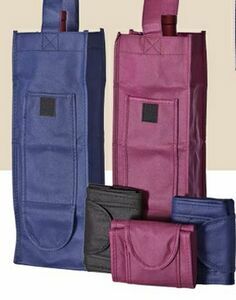 Made from neoprene, the bag will keep bottles cool, which is very important for white wine or champagne. In addition, it is also able to keep a bottle at room temperature if that was its temperature when first placed in the bag. As such, it is equally suitable for red wine. A particular point of interest in this bag is that you can customize it beyond the color of the bag. It can also be screen printed with your store's name and logo and even a slogan or motto if you have one. This will really make the bag stand out from the crowd. 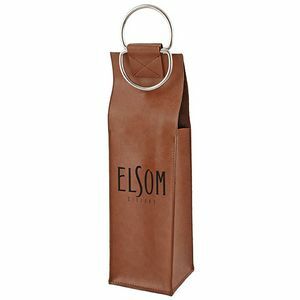 As such, it is a fantastic marketing tool, as your store will be advertised wherever the bag goes. Since it is reusable and built to last, it is likely that your store will receive a significant amount of exposure. If you own a wine store or any other similar establishment where people can purchase bottles, you will know how important it is to find a way to ensure bottles can be carried home safely and comfortably. 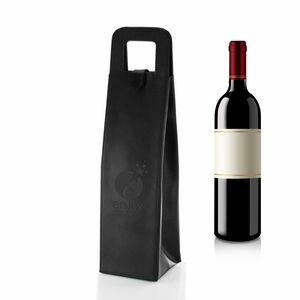 The neoprene wine bag is able to achieve that, something that your customers will truly appreciate. Some stores are now even offering the bag as a free, promotional item, because they know that the potential for return on investment is so big thanks not just to prolonged exposure, but also because of increased customer satisfaction. Please contact us today for a free, no obligation quotation.